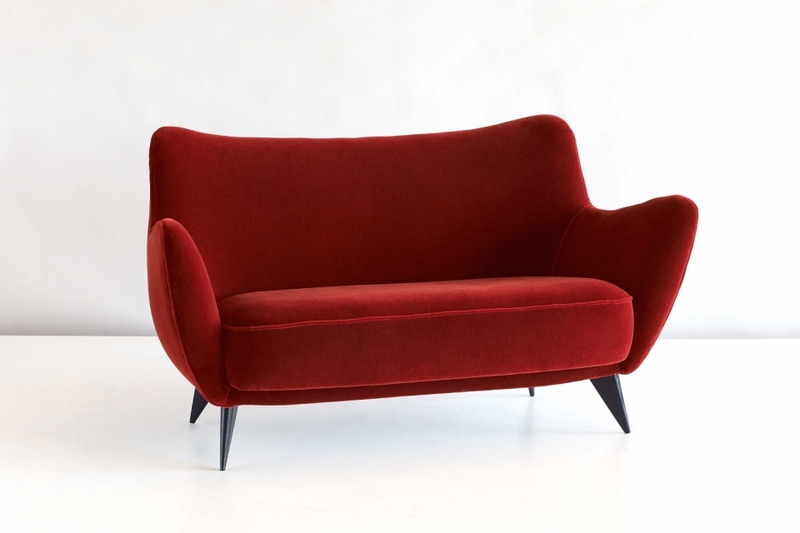 A rare ‘Perla’ sofa designed by Giulia Veronesi and produced by ISA Bergamo, Italy. 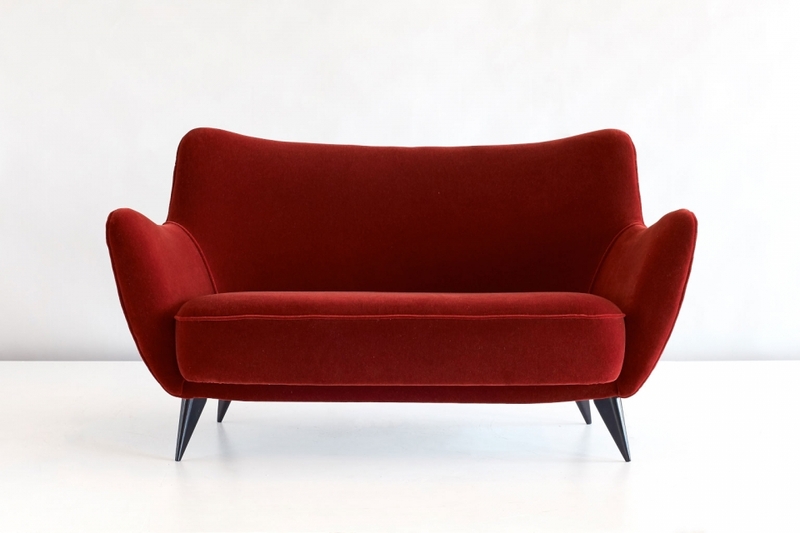 Its striking sensual curves and the elegantly tapered legs give this sofa a sculptural and modern feel. 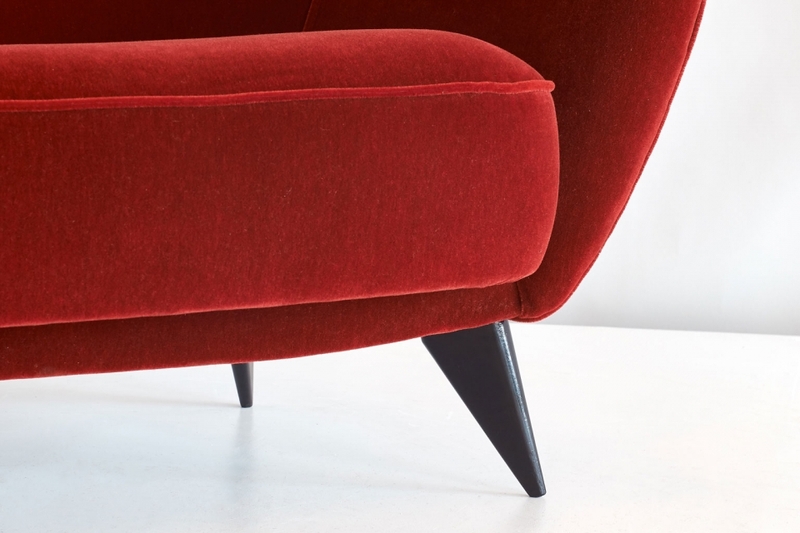 The sofa has been fully reconditioned and newly upholstered in a stunning red mohair velvet fabric. A sumptuous example of 1950s Italian design. Bibliography: Domus No. 274, October 1952, page 4.